Looking for a new movie to watch? Then look no further! 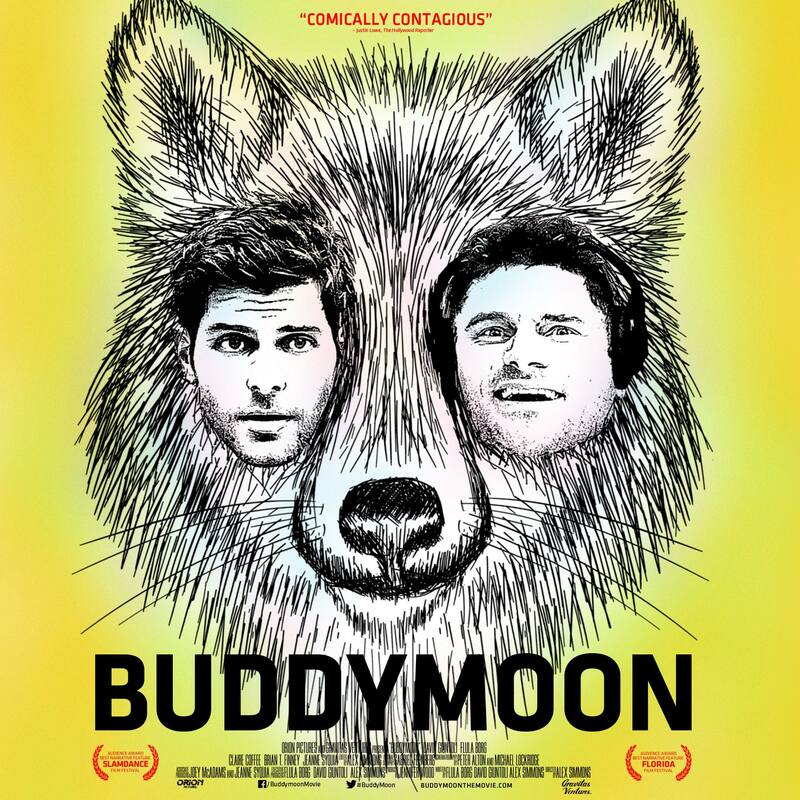 Buddymoon will be released on DVD and Blu-Ray on 6th September. So, grab some snacks, your buddies and have a Buddymoon viewing party in your own home! Please note: the DVD/Blu-Ray is being released in the US and Canada only. No international release dates have been announced yet. Buddymoon nominated for Streamy Award! We are very pleased to hear that Buddymoon has been nominated for Best Feature in the Streamy Awards. The Streamy Awards celebrate the best that the internet has to offer and are judged by online video experts and judges on the Streamys Blue Ribbon Panel. The winners will be announced at an awards ceremony at the Beverly Hilton in Beverly Hills, California on 4th October. We will keep you all informed of the outcome. We would like to take this opportunity to congratulate David, Flula, Alex and everyone involved in the making of Buddymoon. We hope that you will be walking away with that award! Portland extends screenings of Buddymoon….again! Great news, Portlanders! The Living Room has extended its extended run of Buddymoon for an extra week! So, get your friends, family, neighbours etc down to the Living Room to laugh yourself silly! Congratulations, once again, to Alex, David, Flula and all involved in the making of Buddymoon. We hope it continues its great success! Great news, Oregon based fans! Buddymoon has been given an extra week of screenings in Portland and Corvallis! If you didn’t get the chance to see it this week, you can now head out to the Living Room (Portland) and Darkside Cinema (Corvallis) to catch it again. Don’t miss out! Fans in Lancaster, PA will be able to catch the movie on 15th July at Zoetropolis Art House.